YOU'VE NEVER PLAYED A BALL LIKE THIS. This ball is different. 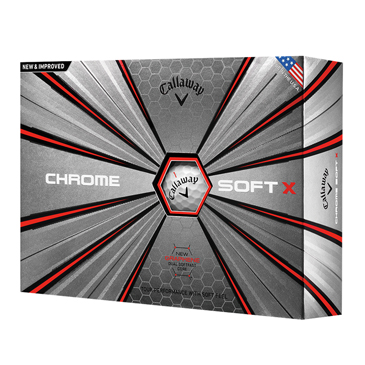 The Callaway Chrome Soft X Golf Ball combines Tour-proven distance and performance with unparalleled feel and exceptional mis-hit forgiveness, led by the groundbreaking new Graphene Dual Soft Fast Core.